Closson Chase Vineyard. Photo: Prince Edward County/Johnny C.Y. Lam. Before retiring from Toronto’s hustle and bustle to the quiet of Prince Edward County, ON, Anne Russell never imagined she’d one day become an avid quilter—and a DJ. 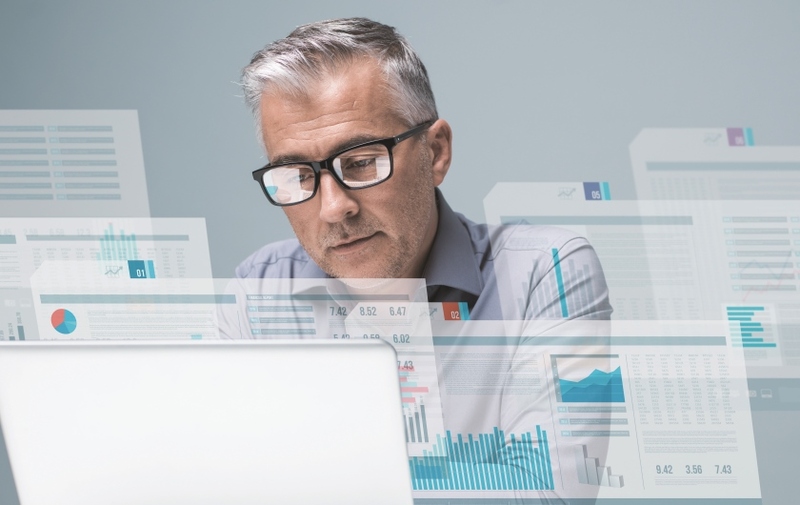 Similarly, Joanne Cullen had no idea that after wrapping up her career and moving to The County, as it’s known locally, she’d be playing roles in radio plays and donating her marketing skills to raise the profile of her newly adopted home. But one of the many charms of this lovely pastoral area is the possibility it offers for reinvention and exploration, in part because of a wide array of volunteer opportunities—from selling popcorn at The Regent, a restored 1922 movie theatre, to reading the news at the local radio station. This hospitable, warm-hearted character may grow out of the area’s enduring agricultural roots. Technically an island, Prince Edward County is located on Lake Ontario’s north shore, has a population of roughly 25,000 spread over 1,050 square kilometres (405 square miles), and includes a scattering of small towns, Picton being the main hub. On the other hand, “It’s a very creative area,” Stein says, a place where you can find a host of classes in pursuits such as painting and writing, in addition to professional and community theatre (the latter group performs in a historic former church) and live music. “It’s got something to do every night, if you want to,” Stein adds. 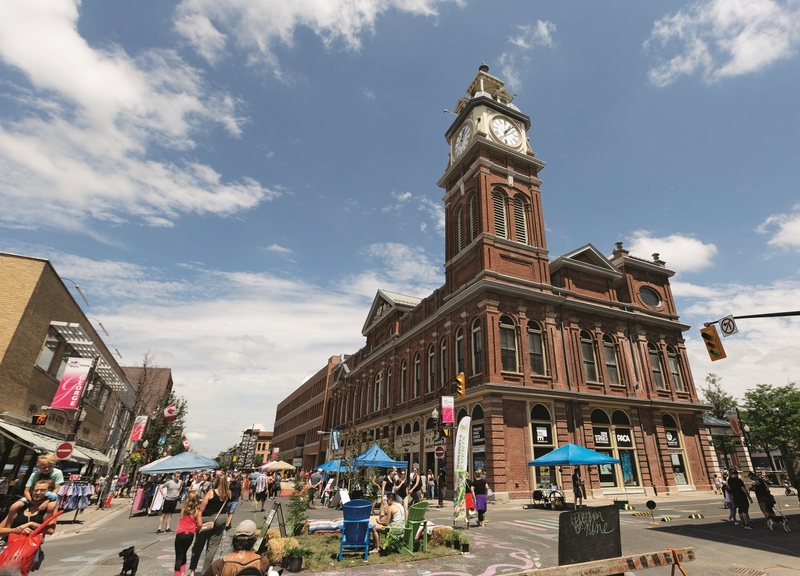 Thanks to thriving summer tourism—the county sits between Toronto, Ottawa, and Montreal—larger-city amenities include three major grocery stores, numerous coffee shops, and an independent bookstore. 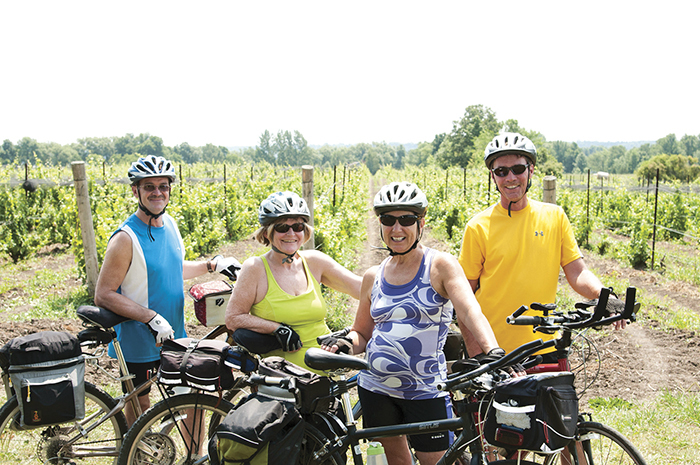 Biking at a winery. Photo: Prince Edward County/Johnny C.Y. Lam. With more than 500 kilometres (310 miles) of shoreline, you’re never far from the water, and nature is nearly as close as your doorstep; in fact, the Cullens’ home backs onto a conservation area. “We’ve got so many birds that migrate through here. We can have a dozen yellow finches in our yard at a time, and we have foxes and the occasional deer,” Cullen says. Sandbanks Provincial Park. Photo: Prince Edward County/Johnny C.Y. Lam. 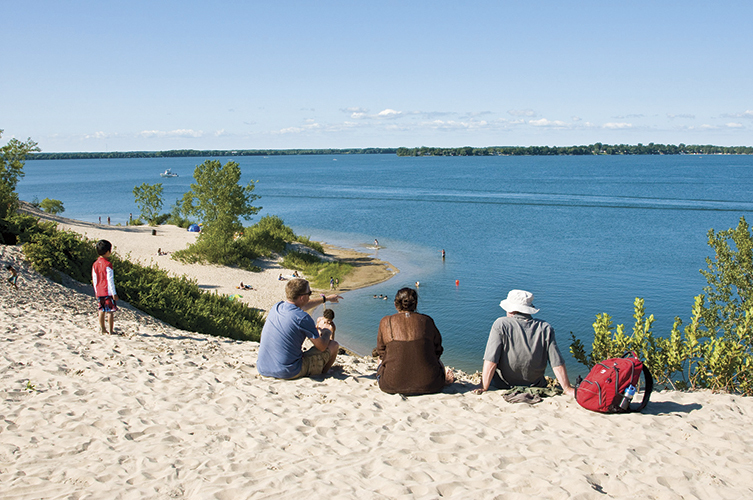 Sandbanks Provincial Park, where you can explore beaches, dunes, and marshes, is only one of many places boasting walking and hiking trails and bike paths; the Millennium Trail, a reclaimed railbed, is another. “You can take your bike pretty well anywhere,” Cullen says. A favourite destination for her and her husband, Robert, is a bluff overlooking a bay. “We have a picnic lunch overlooking Lake Ontario and the little sailboats coming into the beach below—it’s just stunning,” she says. Clubs devoted to walking, cycling, birding, sailing, and golf provide the chance to meet others with similar interests. And there are indoor options for staying fit during the colder months, including a fitness centre that features a swimming pool. If you should tumble off your bike, medical care is close by. “If you have to go to Emergency—no problem,” Cullen says. “The hospital is great here.” The 15-bed facility in Picton offers a number of services, including several types of routine testing, as well as dialysis; more complex care is available at the much larger hospital in nearby Belleville. Medical and dental clinics are located in both Picton and Wellington. 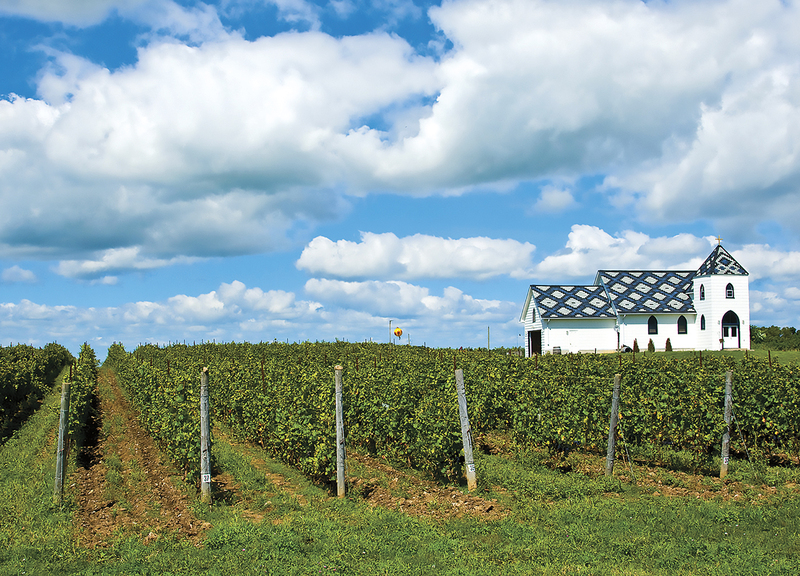 All in all, Prince Edward County is a bit of a contradiction: peaceful yet bursting with opportunities to stay engaged and active. “There’s something for everybody,” Stein says.